Understand what a Fall Line really is by reading this section. In general, a Fall Line is an imaginary line down a mountain or a hill wherein gravity makes an object to roll down. Skiing beginners should learn first the standard skiing stance. This should be one of the first steps a beginner must know since this paves the way for easily learning the succeeding exercises. Ensure no harm to your fellow skiers by knowing how to carry your equipment properly. Moreover, by carrying your skis properly, you will be able to transport your Skiing equipment with ease. Every beginner should learn the basic steps first to make him or her successfully perform the succeeding Skiing exercises. If you are still new to Skiing, this section will guide you in making the first steps. 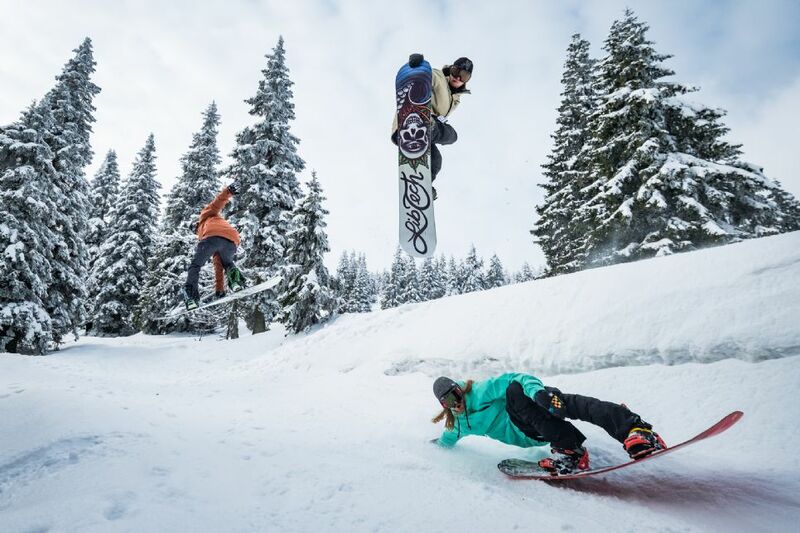 Falling is a staple in every winter sports activity. It is expected that you will fall a lot of times hence, minimize the risk of getting yourself injures by knowing the right way to get up and how to react during a fall. This maneuver allows you to rotate 180 degrees and change direction without losing altitude. In this section, learn how to execute a Kick Turn. Let our animation guide you as you go through the steps. This Skiing Exercise enables you to change direction and turn in place using either the tips or tails of your Skis as pivots. Learn how a Clock Turn is done in this section. In Side-stepping, you need to keep your Skis perpendicular to the Fall line so you will not slide backwards. Learn how to side-step up the hill in this section. This is another way of moving uphill with your Skis on. Notice the marks that your Skis leave on the snow and you'll understand where the Herringbone technique got its name. Sideslipping is a controlled slide along the Fall line of a slope. This exercise will teach you how to control your descent using your Skis' edges. Know more in this section. This is one of the basic maneuvers that you should learn to help you get accustomed to your Skis and improve balance while shifting your weight from one Ski to the other. In Skiing, you can move directly across the fall line through Traversing. This basic skill is not that difficult to learn. In fact, you only need a specific destination and a maintained speed! After learning different basic maneuvers and skills, it's time to combine them in one exercise. In this section, learn how to link turns smoothly and effectively. Your winter escapade can turn into a more memorable and thrilling experience by doing several tricks - whether in the air or on rails. Learn some freestyle tricks in this section. Now that you have already learned Skiing with the help of this online course, you will soon be able to make advanced moves. You can always go back to our online course and take a look at our tips for beginners if you are having difficulties doing a particular maneuver. With the help of these sections, we hope that you will be on your way to becoming a good skier in no time.